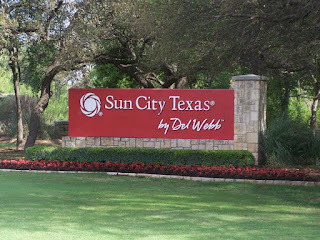 When I sold real estate in Dallas, Texas in the 1990's, the other Realtors and I were delighted when Del Webb made the decision to build one of their fabulous Sun City retirement communities in Texas. Nothing like that existed in Texas at that time. The developers made a presentation to the real estate community and told us that, although they had been aggressively promoting their Arizona Sun City to Texans for a number of years, they had found that the majority of Texans who visited Arizona were reluctant to leave Texas. If they couldn't get Texans to move to an out-of-state Sun City, they realized they would have to build one in Texas. Since then, of course, Del Webb has built up their Sun City franchise in a number of other states, including California. The Sun City concept has turned out well for Del Webb. It has also been a popular retirement choice for the people who moved to Sun City Georgetown (since renamed Sun City Texas) and has helped the economy of the charming town of Georgetown, located about 26 miles north of Austin's central business district in the beautiful Texas Hill Country. 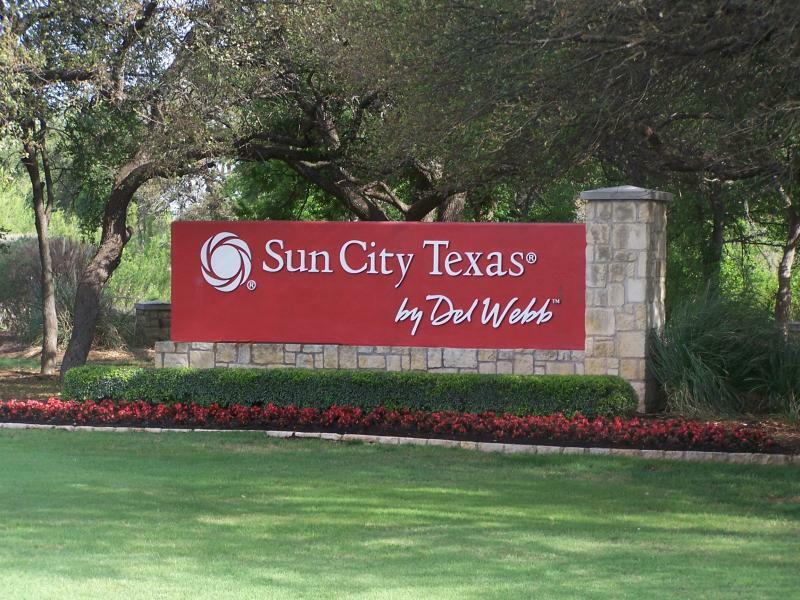 Sun City Texas is primarily made up of single family residences as well as a few duplexes. You can legally drive golf carts in the streets, and there are special community parking spaces for golf carts. The community has tennis courts, three golf courses, a large central activity center as well as satellite community centers, hobby facilities, several swimming pools, a fishing lake, dances, yoga classes and many other clubs and activities. Southwestern University in Georgtown and the nearby city of Austin both provide the opportunity to attend many cultural and sporting events. Georgetown gives you the advantage of living in a small community with a population of about 30,000 people, while being only a short drive away from the state capital of Austin, Texas. There are many colleges and universities in the area, including the University of Texas in Austin and Southwestern University in Georgetown, a small liberal arts college which one of my daughters attended. Georgetown, like most of Texas, has long, hot summers and cool, mild winters. High temperatures in the summer range from about 90 to 100 degrees, and highs in the winter are typically in the 50's and 60's. Occasionally, temperatures will drop near freezing. Many people consider Georgetown to be one of the top places to retire in the United States because of its warm climate, close proximity to excellent medical care in Austin, and the approximately 11,500 retirees living in the master planned community of Sun City Texas. In addition to Sun City, retirees may also want to consider living in one of the other over-55 communities that have been built in the area, including Wesleyan at Estrella, Heritage Oaks and the Oaks at Wildwood. There are also different levels of assisted living in the area. The charming community of Georgetown is another reason why Sun City Georgetown has become a popular retirement community. The shops shown here are typical of the shops you will find facing the historic town square. 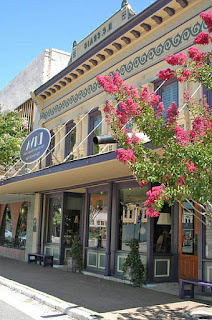 The town has made a genuine effort to reface their downtown buildings to enhance their Texas-Victorian architectural heritage. In addition, several of the town's historic neighborhoods have also undergone redevelopment with the restoration of some of the older homes. In fact, Georgetown has been called one of the best places to buy a historic home. Whether you are a native Texan, or someone who wants to relocate to Texas because of its warm climate and low cost of living (including no state income tax), you may want to put Sun City Texas and the other Georgetown retirement communities near the top of your list. If you are looking for more places to retire, use the tabs or pull down menu at the top of the page to find links to hundreds of additional articles on where to retire in the United States or abroad, common medical issues, financial planning and changing family relationships. 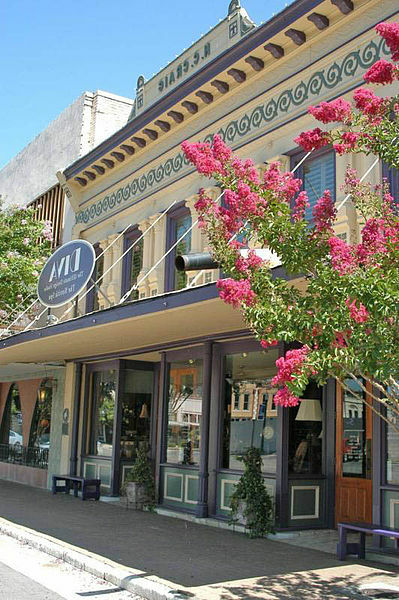 Photo of downtown Georgetown, Texas courtesy of www.en.wikipendia.org/commons and should be attributed to Austex. 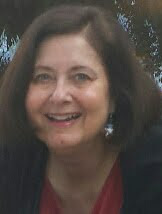 What a great development and a charming community in which to retire. Thanks for sharing you experience and knowledge. Thank you for your comments. Sun City in Georgetown, Texas is a lovely, charming retirement community. For people who are looking for a great retirement location, this is certainly one to check out!